uivaLiterary festivals have become quite a South Asian phenomenon in recent years. In India they have taken off in Jaipur, Chandigarh, Delhi, Kochi, Pune, Goa and a host of other locations. In Pakistan they have been taking place in Karachi, Lahore and Islamabad for the last five years or so. The Islamabad Literary Festival 2017 took place at the Margala Hotel over the Easter weekend. I have been attending the Lahore Literary Festival since it began, but this was my first time at its Islamabad equivalent. I find these events really heartening: it is undeniably encouraging to see thousands and thousands of people giving up their weekend to pack out a hotel in the centre of the city and listen to people giving lectures on the history of Pakistani literature in English, on Urdu poetry, or discussing recurrent themes in contemporary Pakistani literature. Foreign observers have thankfully stopped finding this bizarre. In the early days of the Lahore Literary Festival correspondents from the UK and the US covered the event in tones of mild bemusement, employing gratuitously sensational phrases describing Lahorites dodging bombs to attend the festival. The festivals have been running for long enough now that they have become part of the social landscape, and foreigners air-dropped in to observe the event at the behest of some desk-bound editor no longer find them surprising. The sight of thousands of Pakistani people coming together to talk about books is no longer weird, as if it ever should have been. These festivals, after all, provide an opportunity for Pakistani’s “liberal elite” to enjoy a day in the sun. I do not use that term negatively. Why should it be negative? The liberal elite of Pakistan have significant influence on society and use that influence positively and constructively. They come in their thousands to talk about poetry and novels, as well as less obviously literary topics such as Pakistan’s looming water crisis, and they clearly care. They do not come up with solutions to Pakistan’s problems – how could they, in a three-day event? – but the fact that discussions are ongoing, and passionately, is a positive start in itself. The narrative about Pakistan is overwhelmingly negative. It is good to be able to report that thousands of people were willing to come out, discuss poems, buy novels, drink tea, and chat politely with anyone they could find. Clearly, it’s not all bad news. The Lahore Literary Festival has become one of the highlights of our time in Pakistan. It started back in 2013 when Pakistani book-lovers decided to jump on the literary festival bandwagon which has seen such festivals spring up in Asian places such as Jaipur, Karachi, Mandalay, Shanghai, and many others. The increasing prominence of Pakistani literature on the world stage, championed by such excellent writers as Kamila Shamsie, Mohsin Hamid and Mohammed Hanif, makes Pakistan an entirely reasonable place to hold such a festival. Moreover, Lahore, as a city with a serious literary heritage, is a logical place to hold it in Pakistan. The inaugural festival in 2013 was one of the most encouraging events I’ve been to. The al-Hamra Arts Centre on Mall Road was crammed with people, almost all of them Pakistani, all of them enthusiastic, lining up in orderly queues to hear people such as Ahmed Rashid and William Dalrymple speak. We went back in 2014 when the festival was even bigger, even more popular. In 2015 we were unable to attend, but we made sure we were available for 2016. And the festival almost didn’t happen. A couple of days before the festival, rumours started to fly: the government had cancelled it due to security concerns; the government had requested a change of venue; the organisers were announcing a curtailed programme; permission for the event had been withdrawn. In the end most of these came true: the festival was reduced in length from 3 days to 2 and was moved from the al-Hamra Centre to the neighbouring Avari Hotel. The level of security provided at the Avari was ludicrous even by Pakistani standards: practically an entire company of soldiers, an armoured car, armed police on the roof, metal detectors everywhere. There were more Kalashnikovs in attendance than speakers. Even so, it was an interesting and enjoyable event. We heard Mohammed Hanif tear into the security arrangements with his customary satirical laughter. I listened to 93-year-old Nancy Dupree tell the story of the destruction of the Kabul Museum and about efforts to preserve Afghanistan’s heritage. Hina Rabbani Khar and Ahmed Khan spoke about geopolitics in a session entitled “New Great Games”, which seemed to have little or nothing to do with books but was nevertheless interesting. Outside, in the public areas, people posed for selfies (how I hate that word!) and authors signed books. Attendance was free and no registration was required. The LLF is fun, and this year was no exception. It just strikes me as sad that holding a literary festival in Pakistan is considered so risky that it necessitates the presence of half of the Pakistani army just to maintain order. Still, we’re getting there. Step by step Pakistan’s international rehabilitation is underway, and if that process requires the presence of a battalion of Kalashnikov-toting soldiers then so be it. The end will, I hope, justify the means. A high-quality indigenous literary scene of genuine merit is one of those things that you don’t necessarily expect to find in Pakistan. In this respect it fits into a category containing other surprising aspects of life here, such as “Friendly People”, “Stunning Landscapes”, and “The Best Fruit In The World”, and just goes to show that you shouldn’t believe everything that you read in the media. The list of Pakistani authors who have reached global acclaim in the last few years is getting longer by the day. Rather than list all of them, it would probably be a better use of our time if I listed some of the books by Pakistani authors which have made a significant impact on me. All of them are set, at least partly, in Pakistan. Some are by men and some by women. Most are fiction; one is not. Yet all of them provide genuine insight into Pakistani life in all of its complexity. 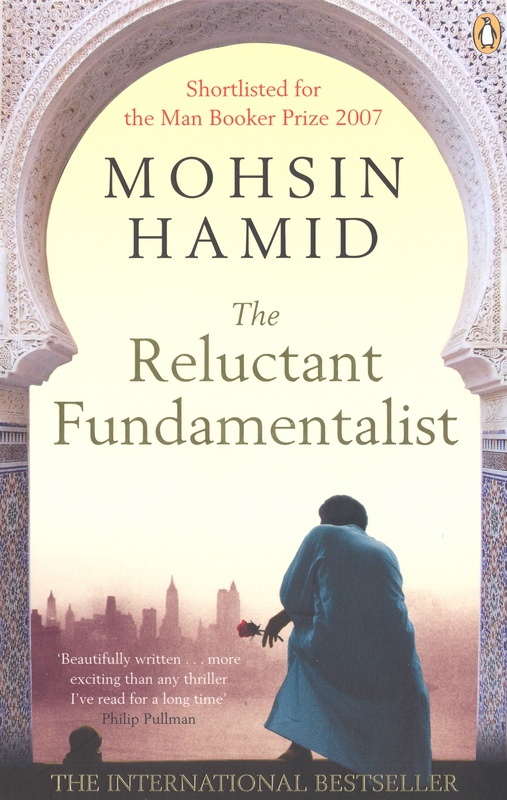 Mohsin Hamid, “The Reluctant Fundamentalist”. A short but powerful story of a chance meeting at a restaurant in Lahore, with a sinister twist in the tale. This book explores themes such as honour and shame, the emotions felt by expatriate Pakistanis in the USA, 9/11, and also contains a love story of genuine power. Mohsin Hamid, “How To Get Filthy Rich In Rising Asia”. A self-described self-help novel which is both genuinely hilarious and incisive, also containing a love story which moved me more than anything since “Love in the time of Cholera” by Garcia Marquez. Mohammed Hanif, “A Case of Exploding Mangoes”. Perhaps one of the best examples of black humour in recent years, this fictional account of President Zia-ul-Haq’s last days is darkly hilarious. This novel completely astonished me. 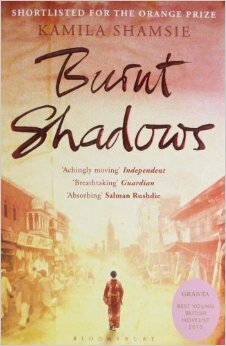 Shamsie’s narrative goes from the atomic attack on Nagasaki in 1945 to the end of the Raj to modern Karachi and ends up in Guantánamo Bay. How she manages to fit all of this in and yet make it a compelling and believable story is a testament to her skill as a story-teller. It’s utterly beautiful. Kamila Shamsie, “Offence: The Muslim Case”. This tiny little book contains the best analysis of the current tensions between East and West, including the War on Terror and its implications for Pakistan. It’s a work of non-fiction and seems not to have attracted much attention, despite the fact that it sheds more light on contemporary Pakistan than anything else I’ve ever read.